Over the past few years, ip-label has been providing mobile application monitoring on iPhone and Samsung Android physical devices. This type of monitoring is carried out from our datacenters in Paris and Stockholm. 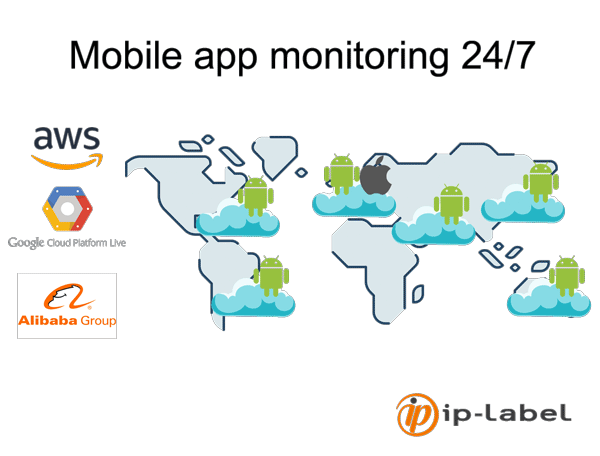 In addition, to cover more geographical areas, ip-label is now offering virtual Android monitoring over the cloud, starting in March 2019. Virtual Android monitoring can be integrated with our Datametrie and Newtest products as long as flows are authorized between a robot located on an intranet and the cloud providers mentioned above.